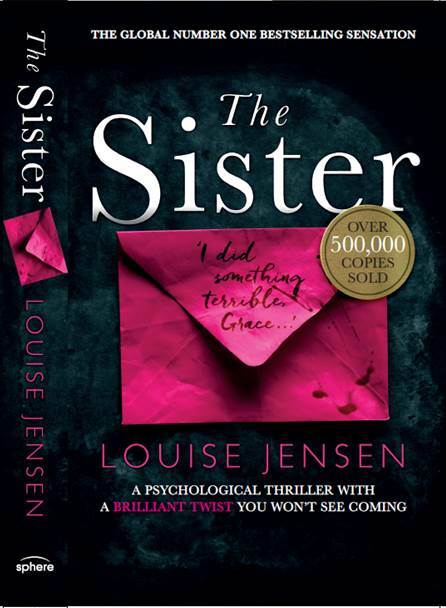 Posted on October 17, 2017 by Fabricating Fiction/Louise Jensen	• This entry was posted in Creative writing Process, Novel writing and tagged creative writing, editing, literary agencies, literary agents, louise jensen, novel writing, publishing, submission package, synopsis, the sister, writing. Bookmark the permalink. I remember this being a strong opening – that intrigue of what exactly Grace needs to dig up draws you in. And then you piled mystery on mystery, of course. Reblogged this on The Writer's Block. Thanks for the useful comments that you included before the chapter. I’m looking forward to reading this – it’s sitting, waiting on my kindle for when I find time…great opening. I’m hooked. Thanks Angela. Do hope you enjoy The Sister. I’ll probably say this everytime you post a new part to this, but I really enjoy reading this series. I particularly like hearing about getting right into the action of the story. Those are the types of openings I enjoy reading the most, and they’re the types I enjoy writing too. Thanks Mandie – next part coming soon! Thanks for being so open and generous with your advice in these posts. Thanks Stacey. SO pleased it’s been helpful. Hope you enjoy The Sister.